Need easy breezy recipes? 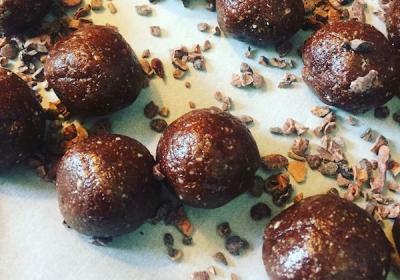 Raw truffles and energy balls are a cinch to make, they'll satisfy your sweet tooth in a healthy way, and they're packed with nutrition to fuel your day. These simple little 'love bites' by Paige Gregor of Days of Citrine are the perfect afternoon pick-me-up, chockfull of superfoods, protein and adaptogens - they're gluten-free, raw, vegan and delicious to boot!